This article is for those users who are looking for a cheap and affordable 4G mobiles. Here you will find a list of top 10 best 4G smartphones under 5000 and 6000 available in India as of March 2019. The best options from various brands like Micromax, Redmi, Lenovo, Motorola, Swipe, Honor and Tenor(an Amazon brand) have been listed here. 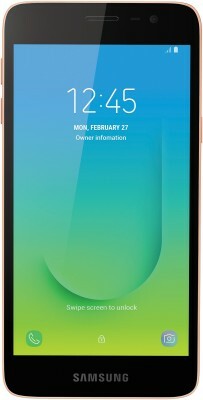 In addition to 4G functionality, you get good build quality, 5 to 5.5-inch display of HD resolution, 2 or 3GB of RAM, 16GB to 32 GB of storage and a decent processor to handle day to day tasks. The battery on these phones vary from around 2000 mAh to 4000 mAh. If you don't like to charge your phone every day then go with phones with large 4000 mAh battery which will provide 2-day battery backup on a single charge. The phones on this list are priced between 4000 and 6000. If you can extend your budget by around 1k then take a look at best smartphones under 7000. Cameras on these phones are also decent. You will see 8, 13MP back cameras and 5 or 8MP front cameras for taking nice selfies. Low light performance of these cameras will be average though. These phones are good for day to day usage and you can attend calls, use simple applications, browse the internet etc. Let's take a look at the best 4G mobile phones under 6000 in India. We have provided the specifications, pros cons and features of every smartphone below. Gionee X1s is an old phone but offers good specification if you have a budget of under 7000. It has a 5.2-inch screen with HD display and the quality is decent. It comes with Gorilla Glass 3 protection to protect the screen from damage if it falls off. For the processor, you get a MediaTek MT6737T chipset with 3 GB of RAM and 16 GB of internal storage. With this configuration, you can easily open multiple apps together and play games in low and medium graphics settings. Do not expect much but day to day tasks can be performed smoothly. There is a dedicated SD card to expand the storage up to 256 GB which will be useful for most of the users. There is a single 13MP rear camera sensor with LED flash and a 16MP front camera for selfies. The camera clicks good images which have decent details and are sharp enough for a phone priced between 6000 to 7000. The selfie in particular look fresh and natural. Gionee X1s also comes with a powerful battery with 4000 mAh capacity that easily lasts for more than a day so you do not have to worry about charging again and again. Overall, it is decent phone for the price range and offers good value for money. Lenovo A5 is a budget phone from Lenovo and is priced around Rs. 6000 in India. It comes with specs similar to other smartphones in this range. On the front, we have a 5.45 inch HD display which looks fine. On the back, we have a 13MP camera and a fingerprint sensor. The camera works well and takes decent pictures in outdoor natural light conditions. The performance indoors is average just like other budget phones. For selfies, there is an 8MP camera on the front and has a similar story with decent pictures in good lighting condition. The A5 is powered by MediaTek MTK6739 processor which is an entry-level chipset and support 4G VOLTE. There is 2GB of RAM and 16GB of storage. The storage is expandable by a MicroSD card. The slot is dedicated so you won't be compromising with the dual sim functionality of the phone. The 2GB RAM struggles if you use a lot of apps. If you just going to use the phone for calling, WhatsApp and Facebook then you would be fine. The battery inside the phone is the USP of this device. A5 comes with a large 4000 mAh battery. Smaller display, lower resolution, efficient processor and a large battery means you are going to get excellent battery backup from this phone. With regular usage, you can get a backup of 2 days on a single charge. If you need a big battery budget phone at a price of under 6000 to 7000, then Lenovo A5 is a decent option. Asus Zenfone Lite L1 is an entry-level budget phone for those who don't use a lot of apps and need to use it for basic stuff like watching videos, WhatsApp, Facebook and calling. The phone has a 5.45 inch HD display with an 18:9 aspect ratio. The display looks fine with good brightness and decent colors. The phone has a plastic build which helps to keep the weight down. It weighs just around 140 gm. The processor inside the phone is Snapdragon 430 with 2GB RAM and 16GB storage. The processor is good but 2GB RAM is the bottleneck and you will face lag if you use a lot of apps. Still, for the price, the performance is decent. The battery is 3000 mAh and with a small HD display and power efficient processor, it will easily last for a day with medium usage. The charger provided in the box is slow and takes around 3 hours to fully charge the device. On the back, we have a single 13MP camera and on the front, we have 5MP camera for selfies. The camera performance is okay and pictures look decent. Other options in this price range include options like Redmi 5A and Redmi 6A. 6A has a bit better performance but will cost more as well. If you have a budget of around 5000 to 6000 then you can go for Zenfone Lite L1. Nokia 2 comes from a brand that is known to build super solid quality smartphones and Nokia 2 also comes with the same strength and ability in terms of build and design. This phone is powered by Quad-Core Snapdragon 212 clubbed with 1 GB of RAM. It has a 5-inch HD display with Corning Gorilla Glass and the screen consumes very less power. It runs on Android Nougat 7.1.1 Operating system and offers a smooth software experience. The rear camera of Nokia 2 is an 8 MP sensor while the front is a 5 MP sensor that clicks decent pictures. This phone has an internal memory of 8GB which can be expanded up to 128 GB using a dedicated SD card slot. It is an energy efficient phone and has a huge battery rating of 4100 mAh which can easily keep the phone on for more 2 days. If you are a Nokia lover, have a budget of under 5000 to 6000 and need huge battery life, you can consider this phone. Micromax Canvas 6 has a 5.5 inch Full HD Display with a resolution of 1920 x 1080 Pixels. This phone has a stylish design and good build quality and is powered by an Octa-Core MediaTek MT6753 Processor. It has 3 GB of RAM and 32GB of internal storage which would offer smooth multitasking without any hang or lag issues. The gaming experience with apps like Candy Crush, Temple Run, Subway Surfers would be truly seamless. In the camera department, it has 13 MP rear camera sensor with flash and auto-focus and 8 MP front camera sensor which clicks images without any blur. The storage is expandable up to 128 GB using an external SD card, this slot is a hybrid slot so you can either use it as a dual sim phone or expand the storage if you need extra memory than 32 GB. Canvas 6 runs on Android Marshmallow 6.0 and has a battery rated 3000 mAh which can give a backup of around a day. Micromax has lots of good phones in the price range of under 7000 and Canvas 6 is one of them. This smartphone offers the best display and camera in this price range. Moto E4 comes with a 5-inch HD (720p) display with 2.5D glass protection. It is powered by an MT6737 MediaTek Processor and 2GB of RAM. E4 has an internal memory of 16GB which can be expanded up to 128GB via a hybrid sim slot, so it can be either used as a dual sim phone or the internal memory can be expanded. In the camera department, it has an 8MP sensor on the back with autofocus and 5MP sensor on the front with flash for selfies. it runs on Android 7.1.1 Nougat and provides a near Stock Android experience. the build quality is strong and performance is decent with some level of smooth multitasking but the battery is only 2800 mAh which would make it last just for a day with normal usage. Samsung is known to provide good build quality phones and this J2 Core delivers on the same promise. It is powered by Exynos Quad-Core Processor and supported by 1 GB of RAM and 8 GB of internal storage. The storage can be expanded up to 128 GB SD card and has a dedicated sim slot so you can expand the storage and use it as a dual sim smartphone as well. It has a 5 inches display, which is a good quality display panel. In terms of Camera, Samsung Galaxy J2 has an 8MP sensor on the rear camera with flash and 5 MP on the front camera. Galaxy J2 Core has a battery of 2600 mAh which would give a backup for a day easily. It weights around 150 gm which is light in weight and easy to hold. So, If you are looking for a decent Samsung branded smartphone under 6000, this can be a decent choice. Other companies offer better specifications, but Samsung offers great build quality, durability, and service. Redmi 6A is the most affordable smartphone from Xiaomi priced at just Rs. 5999. For the price, it is a good smartphone with a solid build, good display. The RAM and Storage are 2GB and 16GB with Helio A22 chipset. This configuration is sufficient for basic usage. Overall it is one of the best entry-level mobile phones. If you are going to use a lot of apps then go for the 3GB RAM variant as 2GB won't be enough to handle the multitasking and you might experience lag. The camera on the back is 13MP and on the front is 5MP. The camera performance is okay for the price. The battery is 3000 mAh and would last for a day with normal usage. Infinix is a new brand in Indian market and they have launched android phones under 10000. Infinix Smart 2 is a good budget phone with decent overall performance. The battery backup is good because of the 3050 mAh battery. The camera quality is nice and you get a front camera flash as well which is great for selfie lovers. The internal storage is just 16GB which is low compared to other device but you can increase it with a MicroSD card using the dedicated MicroSD slot. The processor is MediaTek MTK6739 64 bit Quad Core chipset and there is 2GB of RAM. The RAM isn't that much but at this price, we can't complain about it. The hardware is capable of handling normal usage like calling, messaging and social media apps like WhatsApp and Facebook. You should use the Lite versions of these apps for smooth multitasking. Overall, it is a good phone under 6000 from Infinix. If you are a heavy user then go for a phone with 3 or 4GB RAM. Panasonic Eluga Ray 530 is a budget phone priced around just 6000 in India. It comes with a large 5.7-inch display. The display panel looks decent and has a resolution of 720p HD. The viewing angles are decent and color reproduction is good. Sunlight legibility isn't great which is the case with most of the phones in this range. The phone comes with 3GB RAM and 32GB storage which is solid hardware configuration for a phone in this price range. There is a dedicated MicroSD card slot available using which you can increase the storage by up to 128GB. The processor is decent and can handle day to day usage with ease. Multitasking between apps like WhatsApp, Facebook, Messages etc won't be an issue. The hardware is not powerful enough for heavy games but normal games will run fine. The battery inside the phone is 3000 mAh and would last for a day with medium use. The camera on the rear is 13MP single sensor and on the front is an 8MP sensor. The camera performance is good for the price and pictures taken in outdoor natural lighting conditions come out nice. Pictures taken in low light conditions are average at best. Overall, this is a good value for money phone from Panasonic and is one of the best mobile phones under 7000 in India. So that was our list of best 4G smartphones under 5000 and 6000 in India. We hope it was helpful and you found a new 4G mobile phone according to your usage and budget. Also, check out the best battery and camera mobile phones under 10k to 12k.